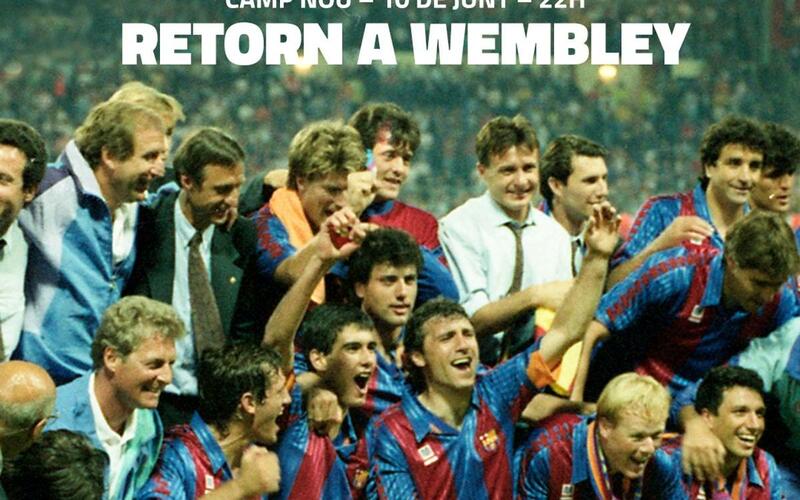 This weekend, FC Barcelona is holding a series of special events to commemorate the 25th anniversary of the club’s first ever European Cup title, which came at Wembley Stadium in 1992. Among the happenings are a full day Wembley25 Festival at Camp Nou, a tribute to the heroes of Wembley including a ceremony and match, and a series of talks in the days leading up to the tribute. Tickets are free online and at the Camp Nou ticket office. Hours: Doors open at 8.00pm, the pregame buildup begins at 9.00pm, the tribute ceremony begins at 10.00pm. Who will be there: Ronald Koeman, Hristo Stoichkov, José Mari Bakero, Pep Guardiola, Txiki Begiristain, Eusebio Sacristán, Andoni Zubizarreta, José Ramón Alexanko, Guillermo Amor, Ion Andoni Goikoetxea, Juan Carlos, Julio Salinas, Miguel Angel Nadal, Carles Busquets, Nando, Ricardo Serna, and CarlesRexach (coach), among others. What to expect: There will be a ceremony, laser-light show, a seven-a-side match between the Barça players and players from Benfica’s 1992 team, which Barça beat, 2–1, at Camp Nou in the final group stage match that year, thus qualifying them for the Wembley final. Who will be there: The journalists Josep Maria Casanovas, Santi Nolla, Ramon Besa, and Emilio Pérez de Rozas, moderated by Pitu Abril. Who will be there: Coaches Vicente del Bosque, Javier Clemente, and John BenjaminToshack, moderated by the journalist Lluís Canut. Who will be there: Former players Hristo Stoichkov, Ronald Koeman, Guillermo Amor, Eusebio Sacristán, and assistant coach Carles Rexach, moderated by the journalist Pilar Calvo.